Count how many calories you burn doing your favorite activities or how long you should do an activity to lose weight. How many calories did you burn? Knowing the number of calories you burn in conjuction with a sensible diet can help you lose or gain weight. A calorie is a measure of energy, just as a pound is a measure of weight and a mile is a measure of distance. So the amount of energy you exert in doing an activity is measured by the calories burn rate. That's easy, just be alive! Your body is constantly burning calories to keep your body functioning. To burn more calories, do more activities, and the more strenuous the activity the greater the calorie burn. 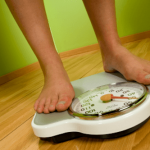 How many calories to lose one pound? You have to burn 3500 calories to lose one pound of weight. This is why you should use a calorie counter regularly. You have to have a calorie deficit* of 70,000 calories to lose 20 pounds (*burn 70,000 more calories than the number of calories you eat). Fortunately, there are simple ways to burn more calories and boost your weight loss. Here, learn about six simple ways to increase your calorie burn and jump start your weight loss! You will be off and running in that new body in no time. You keep the vest in the freezer when you are not using it. It takes less than a minute to get it from the freezer and on your body. After that, you can go about your daily tasks as if the vest does not exist. Wear it as long as you feel comfortable or until the ice melts away. Remove the cold vest and return it into the freezer. When you wear it twice a day, you burn more calories than you would burn working out in the gym (calorie burning claims are as much as 500 calories a day). It won’t improve your fitness like a trip to the gym will, but anything that can help us boost the metabolism without chemicals is a blessing. Fidgeting could increase your calorie burn and speed up your weight loss. In 1986, researchers for the Journal of Clinical Investigation found that fidgeting was a large contributor to daily calorie burn. In fact, this type of movement resulted in a calorie burn ranging from 100 to 800 calories per day! Tap your foot to the music on the radio while sitting in the office, or get up and walk back and forth while talking on the phone. Adding interval training workouts to your routine can boost your calorie burn for an entire day. Check out the HealthStatus program based on HIIT and add this to your routine. In addition, drinking caffeine, consuming capsaicin-rich hot sauce, fidgeting, and climbing the stairs are ways to burn calories without much time or effort. With these strategies, weight loss doesn’t have to be complicated! How many calories should I eat to lose weight? Use our How many calories to lose weight calculator. How many calories should I eat to gain weight? Use our How many calories to gain weight calculator. How many calories do I burn a day? This is your basal metabolic rate, our BMR calculator will tell you the answer. How many calories do you burn running a mile? Distance is irrelevant in measuring this, time and weight are the key elements for determining the calorie count. How can I burn calories without exercise? Check out our article on how to burn calories without exercise Does farting burn calories? (yes, people really ask this question) Read about how many calories does a fart burn? One large banana which is about one cup cut up, has about 121 calories, small bananas run around 90 calories. Bananas are a great snack. What are the calories in an egg? A large raw, hard boiled or fried (without adding fat) egg is a mere 78 calories! What are the calories in an orange? A cup of orange slices, or a medium size orange will be 62 calories, this number can fluctuate some depending on the variety, but this is a pretty good average. Calculator Source: Exercise and Your Heart — A Guide to Physical Activity. National Heart, Lung, and Blood Institute / American Heart Association, DHHS, PHS, NIH Publication No. 93-1677. Take the results of this for one day and add it to the results of the Basal Metabolic Rate calculator and you will know how many total calories you burn each day. I could not find a app for your site. It would be awesome to be able to take this on the go. HealthStatus is a mobile friendly site. And can be accessed on your phone. I hope this helps. Its a free app that does full calorie teacking and syncs with exercise apps. My wife lost 40 lbs using it, and all the body builders at my gym use it too. I successfully did a 15 lb body recomposition using the myfitnesspal app. this is a good program thanks. I’ve been using this feature for a few years. So far, no issues of any kind. I’ve been fine without an app. You should be OK. There is a very big discrepancy between the Kcal burned for 30 minute elliptical on your calculator, vs the cound on the machine itself. 100% difference. When my elliptical says 300 Kcal, this calculator says 679. I don’t know which is right, but the guy at the YMCA says trust the machine (though I haven’t entered ht, wt, etc). What is your take on this? Height and weight makes a big difference to the number of calories you are burning. The bigger you are the more calories you burn. But you also must factor in how hard you are working. At the end of the day these are both estimates. Love this site! So helpful! Any idea if calories are burned using a dry Sauna? Does you calories burn include basic metabolism or is this over and above BM? Over and above basic metabolism. Curious why studying apparently more calories than reading? Any thoughts? Studying might require multiple books, sitting upright at a desk, note taking, or gathering resource materials. Where reading could be more sedentary in a lounge position. The studying calculation(1200) burns many more calories than the reading calculation (620). Your level of activity on your laptop maybe closer to the reading number. I would also suggest that you try the BMR Calculator or the Daily Energy Expenditure Calculator and look at those numbers. How could you possibly know how many calories are spent playing the piano or writing or weaving cloth??? I mean if they really, scientifically measured people of all ages, genders and sizes doing all these different things, then by all means, link the study(ies) otherwise GTFO…. Abel, M., J. Hannon, et al. (2008). “Validation of the Kenz Lifecorder EX and the ActiGraph GT1M accelerometers for walking and running in adults.” Applied Physiology of Nutrition and Metabolism 33: 1155-1164. Almero, E. M., P. E. de Guzman, et al. (1984). ” A study on the metabolic costs of activities and dietary intake of some construction workers ” Phillippine Journal of Nutrition 37: 49-56. Anjos, L., V. Wohrlich, et al. (2008). “Energy expenditure of walking at different intensities in Brazilian college women.” Clin Nutr 27: 121-125. Astrand, I., P. Fugelli, et al. (1973). “Energy output and work stress in coastal fishing.” Scandinavian Journal of Clinical Laboratory Investigation 31(1): 105-113. Aziz, A. R. and K. C. Teh (2005). “Physiological responses to single versus double stepping pattern of ascending the stairs.” Journal of Physiological Anthropology and Applied Human Science 24(4): 253- 257. Bains, K., B. Kaur, et al. (2002). “Measurement of energy cost of selected household and farm activities performed by rural women.” Food and Nutrition Bulletin 23(3): 274-279. Ballor, D., M. Becquc, et al. (1987). “Metabolic responses during hydraulic resistance exercise.” Medicine and Science in Sports and Exercise 19(4): 363-367. Bandyopadhyay, B. and H. Chattopadhyay (1980). “Energy metabolism in male college students.” Indian Journal of Medical Research 71: 961-969. Banerjee, B. and N. Saha (1972). “Resting metabolic rate and energy cost of some common daily activities of trained and untrained tropical people.” Journal of Sports Medicine 12: 111-116. Barbosa, T., R. Fernandes, et al. (2006). “Evaluation of the energy expenditure in competitive swimming strokes.” International Journal of Sports Medicine 27: 894-899. Barkely, J. and A. Penko (2009). “Physiologic responses, perceived exertion, and hedonics of playing a physical interactive video game relative to a sedentary alternative and treadmill walking in adults.” Journal of Exercise Physiology 12(3): 12-22. Barnes, R. M. (1973). “Physical energy expenditure in long-haul cabin crew.” Aerospace Medicine 44(7): 783-785. Bassett, D. J., B. Ainsworth, et al. (2000). “Validity of four motion sensors in measuring moderate intensity physical activity.” Medicine and Science in Sports and Exercise 32 (Suppl): S471-S480. Bassett, D. R., J. A. Vachon, et al. (1997). “Energy cost of stair climbing and descending on the college alumnus questionnaire.” Medicine and Science in Sports and Exercise 29(9): 1250-1254. Beckham, S. G. and C. Earnest, P. (2000). “Metabolic cost of free weight circuit weight training.” Journal of Sports Medicine and Physical Fitness 40(2): 118-125. Berg, K., K. Narazaki, et al. (2007). “Oxygen cost and energy expenditure of racquetball.” Journal of Sports Medicine and Physical Fitness 47(4). Bernardi, M., F. Felici, et al. (1990). “Cardiovascular load in off-shore sailing competition.” Journal of Sports Medicine and Physical Fitness 30(2): 127-131. Billat, V., P. Palleja, et al. (1995). “Energy specificity of rock climbing and aerobic capacity in competitive sport rock climbers.” Journal of Sports Medicine and Physical Fitness 35(1): 20-24. Biswas, R. and A. Samanta (2006). “Assessment of physiological strain in inland fishing activity.” Indian Journal of Occupational and Environmental Medicine 10(1): 19-23. Blackburn, M. (1994). “Physiological responses to 90 min of simulated dinghy sailing.” Journal of Sports Science 12(4): 383-390. Blanksby, B. and P. Reidy (1988). “Heart rate and estimated energy expenditure during ballroom dancing.” British Journal of Sports Medicine 22(2): 57-60. Bleiberg, F. M., T. A. Brun, et al. (1980). “Duration of activities and energy expenditure of female farmers in dry and rainy seasons in Upper Volta.” British Journal of Nutrition 43: 2154-2161. Bloomer, R. J. (2005). “Energy cost of moderate-duration resistance and aerobic exercise.” Journal of Strength and Conditioning Research 19(4): 878-888. Bohlen, J. G., J. P. Hel, et al. (1984). “Heart rate, rate-pressure product, and oxygen uptake during four sexual activities.” Archives of Internal Medicine 1441745-1748. Brooks, A. G., R. T. Withers, et al. (2004). “Measurement and prediction of METS during household activities in 35-to 45-year old females.” European Journal of Applied Physiology and Occupational Medicine 91: 638-648. Brown, W., C. Ringnet, et al. (2001). “Measurement of energy expenditure of daily tasks among mothers of young children.” Journal of Science and Medicine in Sport 4(4): 379-385. Brun, T. (1992). “The assessment of total energy expenditure of female farmers under field conditions.” Journal of Biosocial Science 24: 325-333. Brun, T. A., F. Bleiberg, et al. (1981). “Energy expenditure of male farmers in dry and rainy seasons in Upper Volta.” British Journal of Nutrition 45(67-75). Brun, T. A., C. A. Geissler, et al. (1979). “The energy expenditure of Iranian agricultural workers.” American Journal of Clinical Nutrition 32: 2154-2161. Buchowski, M., K. Majchrzak, et al. (2007). “Energy expenditure of genuine laughter.” International Journal of Obesity 31: 131-137. Butts, N., C. Dodge, et al. (1993). “Effect of stepping rate on energy costs during StairMaster exercise.” Medicine and Science in Sports 25(3): 378-382. Campbell, K. L., P. R. Crocker, et al. (2002). “Field evaluation of energy expenditure in women using tritac accelerometers.” Medicine and Science in Sports and Exercise 34(10): 1667-1674. Cassady, S. I. and D. H. Nielsen (1982). “Cardiorespiratory responses of healthy subjects to calisthenics performed on land versus in water.” Physical Therapy 72: 532-538. Cassady, S. L., M. Levsen, et al. (2001). “Cardiorespiratory responses to abdominal stabilization exercises performed on a therapeutic exercise ball.” Cardiopulmonary Physical Therapy Journal 12(3): 83-87. Castagna, O., J. Brisswalter, et al. (2008). “Physiological demands of different sailing techniques of the new Olympic windsurfing class.” European Journal of Applied Physiology and Occupational Medicine 104: 1061-1067. Chaloupka, E., J. Kang, et al. (1997). “Cardiorespiratory and metabolic responses during forward and backward walking.” Journal of Orthopedic Sports and Physical Therapy 25(5): 302-306. Chao, Y.-F. C., S. Y. Chen, et al. (2002). “The cardiorespiratory response and energy expenditure of tai- chi-qui-gong.” American Journal of Chinese Medicine 30(4): 451-461. Clay, C. C., L. K. Lloyd, et al. (2005). “The metabolic cost of hatha yoga.” Journal of Strength and Conditioning Research 19(3): 604-610. Cohen, J., K. Segal, et al. (1982). “Cardiorespiratory responses to ballet exercise and the VO2 max of elite ballet dancers.” Medicine and Science in Sports and Exercise 14(3): 212-217. Cole, A. H. and J. O. Ogbe (1987). “Energy intake, expenditure and pattern of daily activity of Nigerian male students.” British Journal of Nutrition 58: 657-367. Collins, E. G., D. Gater, et al. (2010). “Energy cost of physical activities in persons with spinal cord injury.” Medicine and Science in Sports and Exercise [Epub ahead of print]. Connolly, D. (2002). “The energy expenditure of snowshoeing in packed vs. unpacked snow at low- level walking speeds.” Journal of Strength and Conditioning Research 16(4): 606-610. Costa, G., F. Berti, et al. (1989). “Physiological cost of apple-farming activities.” Applied Ergonomics 20: 281-286. Costill, D. and E. Fox (1969). “Energetics of marathon running.” Medicine and Science in Sports 1(2): 81-86. Costill, D., H. Thomason, et al. (1973). “Fractional utilization of the aerobic capacity during distance running.” Medicine and Science in Sports 5: 248-252. Cox, R., A. Zylstra, et al. (2010). The relationship between accelerometry and metabolism at very low intensity exercise on the active workstation. Midwest Chapter of the American College of Sports Medicine. Indianapolis, IN. Crisafulli, A., S. Vitelli, et al. (2009). “Physiological response and energy cost during a simulation of a Muay Thai boxing match.” Applied Physiology, Nutrition & Metabolism 34: 143-150. Crouter, S. E., K. G. Clowers, et al. (2006). “A novel method for using accelerometer data to predict energy expenditure.” Journal of Applied Physiology 100: 1324-1331. Cunningham, P. and T. Hale (2007). “Physiological responses of elite Laser sailors to 30 minutes of simulated upwind sailing.” Journal of Sports Science 25(10): 1109-1116. Cureton, K., R. Boileau, et al. (1975). Structural and physiological evaluation of Craig Virgin, 1975 NCAA cross country champion. Physical Fitness Laboratory. Champaign, University of Illinois. Dal, U., T. Erdogan, et al. (2010). “Determination of preferred walking speed on treadmill may lead to high oxygen cost on treadmill walking.” Gait & Posture 31: 366-369. Dalleck, L., D. DeVoe, et al. (2003). “Energy cost and physiological responses of males snowshoeing with rotating and fixed toe-cord designs in powdered snow conditions.” Ergonomics 46(9): 875-881.
de Geus, B., S. De Smet, et al. (2007). “Determining the intensity and energy expenditure during commuter cycling.” British Journal of Sports Medicine 41(1): 8-12.
de Guzman, M. P. E., J. P. Cabrera, et al. (1978). “A study of the energy expenditure, dietary intake and pattern of daily activity among various occupational groups: clerk-typist.” Philippine Journal of Nutrition 31: 147-156.
de Guzman, M. P. E., J. P. Cabrera, et al. (1984). “A study of energy expenditure, dietary intake and pattern of daily activity among various occupational group – Laguna Rice farmers.” Philippine Journal of Nutrition 37: 1-5.
de Guzman, M. P. E., J. M. Kalaw, et al. (1974). “A study of the energy expenditure, dietary intake and pattern of daily activity among various occupational groups – Urban Jeepny Drivers.” Philippine Journal of Nutrition 27: 181-186.
de Guzman, M. P. E., M. R. C. Recto, et al. (1979). “A study of the energy expenditure, dietary intake and pattern of daily activity among various occupational groups – Textile Mill workers.” Philippine Journal of Nutrition 32: 134-148.
de Guzman, P. E., S. R. Dominguez, et al. (1974). “A study of the energy expenditure, dietary intake and pattern of daily activity among various occupational groups – Marikina shoemakers and housewives.” Phillippine Journal of Nutrition 27: 21-30. Devienne, M. F. and C. Y. Guezennec (2000). “Energy expenditure of horse riding.” European Journal of Applied Physiology and Occupational Medicine 82: 499-503. Di Blasio, A., M. De Sanctis, et al. (2009). “Are physiological characteristics of Caribbean dance useful for health?” Journal of Sports Medicine and Physical Fitness 49(1): 30-34.
di Prampero, P., D. Pendergast, et al. (1974). “Energetics of swimming in man.” Journal of Applied Physiology 37: 1-5. Doran, D. and S. Grace (2000). Physiological and metabolic responses in novice and recreatrional rock climbers. The Science of Climbing and Mountairneering. N. Messenger, W. Patterson and D. Brook. Champaign, Human Kinetics. dos Anjos, L. A. and J. A. Ferreira (2000). “Brazilian legislation regarding physiological workload should be revised! The case of garbage collectors in Rio de Janeiro.” Cardernos de Saude Publica 16(3): 785- 790. Dressel, G., K. Karrasch, et al. (1954). “Arbeitsphysiologische untersuchungen bein schaufein, steinetragen und schubkarreschieben.” zentralbl Arbeit siz Betrieb 8: 33-48. Edholm, O. G., J. G. Fletcher, et al. (1955). “The energy expenditure and food intake of individual men.” British Journal of Nutrition 9: 286-300. Edholm, O. G., S. Humphrey, et al. (1973). “Energy expenditure and climatic expolsure of Yeminite and Kurdish Jews in Israel.” Philosophical Transactions of the Royal Society of London. Series B, Biological Science 266: 127-140. Edmundson, W. C. and S. A. Edmundson (1989). “Energy balance, nutrient intake and discretionary activity in a South Indian village ” Ecology of Food and Nutrition 22: 253-265. Engels, H.-J., J. Wirth, et al. (1999). “Influence of caffeine on metabolic and cardiovascular functions during sustained light intensity cycling and at rest.” International Journal of Sports Nutrition and Metabolism 9: 361-370. Erdmann, L. D., R. E. Graham, et al. (2003). “Adolescents’ energy cost in marching band.” Perceptual Motor Skills 97(2): 639-646. Evans, B., K. Cureton, et al. (1978). “Metabolic and circulatory responses to walking and jogging in water.” Research Quarterly 49(4): 442-449. Fariduddin, K. M., M. Mujibur Rahman, et al. (1975). “Study of energy expenditure and food intake of some working class people of Bangladesh.” Bangladesh Medical Research Council Bulletin 1: 124-131. Farrar, R., J. Mayhew, et al. (2010). “Oxygen cost of kettlebell swings.” Journal of Strength and Conditioning Research 24(4): 1034-1036. Farris, G. D. (2006). Analysis of Exercise Intensity and Energy Expenditure of Women Participating in the Curves Exercise Program. Department of Health, Human Performance, and Recreation. Houston, Baylor University. Master of Science: 64. Ferrauti, A., H. T. Giesen, et al. (2006). “Indirekte kalorimetri im Fubballspiel ” Deutsche Zeitschrift Fur Sportmedizin 57(5): 142-146. Fischer, S., P. Watts, et al. (2004). “Energy expenditure, heart rate responses, and metabolic equivalents (METs) of adults taking part in children’s games.” Journal of Sports Medicine and Physical Fitness 44(4): 398-403. Fisher, S. and R. Patterson (1981). “Energy cost of ambulation with crutches.” Archives of Physical Medicine and Rehabilitation 62: 250-256. Flach, N. and E. M. Haymes (2000). “Measuring energy expenditure during physical activity: A comparison of three methods.” Measurement in Physical Education and Exercise Science 4(2): 139- 140. Foster, C., J. De Koning, et al. (2006). “Pattern of energy expenditure during simulated competition.” Medicine and Science in Sports and Exercise 35(5): 826-831. Fox, R. (1953). Energy expenditure of Africans engaged in various rural activities. London, London University. Foxhoven, K., K. Berg, et al. (2001). “Energy expenditure of household tasks.” Clinical Exercise Physiology 3(2): 78-83. Franklin, B. A., P. Hogan, et al. (1995). “Cardiac demands of heavy snow shoveling.” Journal of the American Medical Association 273(11): 880-882. Garby, L., M. S. Kurzer, et al. (1987). “Energy expenditure during sleep in men and women: evaportive and sensible heat losses.” Human Nutrition: Clinical Nutrition 41C: 225-233. Garry, R., R. Passmore, et al. (1955). Expenditure of energy and the consumption of food by miners and clerks. M. R. C. S. R. Series. London, Her Majesty’s Statistics Office. Gilman, M., H. Houle, et al. (2000). “Metabolic cost of traditional American Indian activities in women over 40 years of age.” Medicine and Science in Sports and Exercise 32: S53. Glass, S. C., E. A. Reeg, et al. (2002). “Caloric cost of martial arts training in novice participants.” Journal of Exercise Physiology Online 5(4). Gledhill, N. and V. Jamnik (1992). “Characterization of the physical demands of firefighting.” Canadian Journal of Sport Sciences 17(3): 207-213. Gleim, G. and J. Micholas (1989). “Metabolic costs and heart rate responses to treadmill walking in water at different depths and temperatures.” American Journal of Sports Medicine 17(2): 248-252. Granati, A. and L. Busca (1941). “Il costo energetico del lavoro nelle miniere di carbonne in carbonia.” Quaderni della Nutrizione 8: 1-34. Graves, L., N. Ridgers, et al. (2010). “The physiological cost and enjoyment of Wii Fit in adolescents, young adults, and older adults.” Journal of Physical Activity and Health 7(3): 393-401. Gray, G., G. Matheson, et al. (1995). “The metabolic cost of two kayaking techniques.” International Journal of Sports Medicine 16(4): 250-254. Grier, T., L. Lloyd, et al. (2002). “Metabolic cost of aerobic dance bench stepping at varying cadences and bench heights.” J Str Cond Res 16(2): 242-249. Grieser, J. (2010). Determining Intensity Levels for Selected Wii Fit Activities in College Aged Individuals. Exercise and Sports Studies, Biophysical Studies. Boise, Boise State University. MS: 114. Gunn, S. M., A. G. Brooks, et al. (2005). “The energy cost of household and garden activities in 55-to 65-year old males.” European Journal of Applied Physiology and Occupational Medicine 94: 476-486. Gunn, S. M., G. E. Ploeg, et al. (2004). “Measurement and prediction of energy expenditure in males during household and garden tasks.” European Journal of Applied Physiology and Occupational Medicine 91(1): 61-70. Haddock, B. L. and L. D. Wilkin (2006). “Resistance training volume and post exercise energy expenditure.” International Journal of Sports Medicine 27: 137-142. Hagerman, F., R. Lawrence, et al. (1988). “A comparison of energy expenditure during rowing and cycling ergometry.” Medicine and Science in Sports 20(5): 479-488. Hagerman, F. and W. Lee (1971). “Measurement of oxygen consumption, heart rate, and work output during rowing.” Medicine and Science in Sports and Exercise 3(4): 155-160. Hagins, M., W. Moore, et al. (2007). “Does practicing hatha yoga satisfy recommendations for intensity of physical activity which improves and maintains health and cardiovascular fitness?” BMC Complementary and Alternnative Medicine 7: 40. Haisman, M., F. Winsmann, et al. (1972). “Energy cost of pushing loaded handcarts.” Journal of Applied Physiology 33: 181-183. Hall, J., I. Macdonald, et al. (1998). “Cardiorespiratory responses to underwater treadmill walking in healthy females.” European Journal of Applied Physiology and Occupational Medicine 77: 278-284. Haymes, E. M. and W. C. Byrnes (1993). “Walking and running energy expenditure estimated by Caltrac and indirect calorimetry.” Medicine and Science in Sports and Exercise 25(12): 1365-1369. Hendelman, D., K. Miller, et al. (2000). “Validity of accelerometry for the assessment of moderate intensity physical activity in the field.” Medicine and Science in Sports and Exercise 32(9): S442-S449. Herrmann, S., N. Meckes, et al. (2010). Measurement of child and adult care activities. Mesa, Arizona State University. Houdijk, H., E. Heijnsdijk, et al. (2000). “Physiological responses thta account for the increased power output in speed skating using klapskates.” European Journal of Applied Physiology and Occupational Medicine 83: 283-288. Hurley, B. F., D. R. Seals, et al. (1984). “Effects of high-intensity strength training on cardiovascular function.” Medicine and Science in Sports and Exercise 16(5): 483-488. Igbanugo, V. and B. Gutin (1978). “The energy cost of aerobic dancing.” Research Quarterly 49: 308- 316. Ip, W. M., J. Woo, et al. (2006). “Evaluation of the effect of energy conservation techniques in the performance of activity of daily living tasks.” Clinical Rehabilitation 20: 254-261. Ishii, T., Y. Umemura, et al. (2003). “Influences of mountain bike suspension systems on energy supply and performance.” Japanese Journals of the Biomechanics of Sports and Exercise 7: 2-9. Jacobs, P. L., S. E. Olvey, et al. (2002). “Physiological responses to high-speed, open-wheel racecar driving.” Medicine and Science in Sports and Exercise 34(12): 2085-2090. Jette, M. and H. Inglis (1975). “Energy cost of square dancing.” Journal of Applied Physiology 38(1): 44- 45. Jette, M., M. J., et al. (1979). “The energy cost of rope skipping.” Journal of Sports Medicine 19: 33-37. Jing, L. and Y. Wenyu (1991). “The energy expenditure and nutritional status of college students. The energy cost and the total energy expenditure per day.” Biomedical and Environmental Sciences 4: 295- 303. Jones, A. Y., D. M. Chak, et al. (2006). “Oxygen consumption during stair ascent and descent–a comparison between subjects with normal and impaired vision.” Hong Kong Physiotherapy Journal 24: 23-27. Kanade, A. N., M. K. Gokhale, et al. (2001). “Energy costs of standard activities among Indian adults.” European Journal of Clinical Nutrition 55: 708-713. Kang, J., E. Chaloupka, et al. (2002). “Physiological and biomechanical analysis of treadmill walking up various gradients in man and woman.” European Journal of Applied Physiology and Occupational Medicine 86: 503-508. Kijima, A., M. Arimoto, et al. (2007). “Metabolic equivalents during scooter exercise.” Journal of Physiological Anthropology and Applied Human Science 30(3): 495-499. Kosonen, T., E. Malkia, et al. (2006). “Cardiorespiratory repsonses to basic aquatic exercise-a pilot study.” Advances in Physiotherapy 8(2): 75-81. Kozey, S. L., K. Lyden, et al. (2010). ” Accelerometer output and MET values of common physical activities ” Medicine and Science in Sports and Exercise 42(9): 1776-1784. Kuriyan, R., P. P. Easwaran, et al. (2007). “Physical activity ratio of selected activities in Indian male and female subjects and its relationship with the body mass index.” British Journal of Nutrition 96: 71- 79. La Torre, A., F. Impellizzeri, et al. (2005). “Cardiovascular responses to aerobic step dance sessions with and without appendicular overload.” Journal of Sports Medicine and Physical Fitness 45(3): 264- 269. Lanningham-Foser, L., R. Foser, et al. (2009). “Activity promoting games and increased energy expenditure.” Journal of Pediatrics 154(6): 819-823. Lawrence, M., J. Singh, et al. (1985). “The energy cost of common daily activities in African women: increased expenditure in pregnancy.” American Joural of Clinical Nutrition 42: 753-763. Lee, R. (1987). “Energy expenditure of three-point now-weight bearing walking with axillary crutches and elbow crutches.” The Journal of the Hong Kong Physiotherapy Association 9: 29-37. L�ger, L. (1982). “Energy cost of disco dances.” Research Quarterly for Exercise and Sport 53(1): 46-49. Lehmann, G. (1953). Praklische Arbeitsphysiologie. Stuttgart, Thieme. Lemon, P. W. R. and R. T. Hermiston (1977). “The human energy cost of fire fighting.” Jounal of Occupational Medicine Official Publication of the Industrial Medical Association 19: 558-562. Levine, J. A., S. J. Schleusner, et al. (2000). “Energy expenditure of non-exercise activity.” American Journal of Clinical Nutrition 72: 1451-1454. Liljestrand, G. and N. Stenstr�m (1920). “Studien �ber die Physiologie des Schwimmens.” Scandinavian Archives of Physiology 39: 1-63. Littell, D. E. and R. J. T. Joy (1969). “Energy cost of piloting fixed- and rotary-wing aircraft.” Journal of Applied Physiology 26: 282-285. Lucia, A., H. Joynos, et al. (2000). “Physiological responses to professional road cycling: climbers vs. time trialists.” International Journal of Sports Medicine 21(7): 505-512. Lundgren, N. (1946). “Physiological effects of time schedule work on lumber-workers.” Acta Physiologica Scandinavica 13 (suppl.)(41). MacDougall, J., R. Hughson, et al. (1979). “The energy cost of cross-country skiing among elite competitors.” Medicine and Science in Sports Exercise 11(3): 270-273. MacRae, H. S.-H., K. J. Hisse, et al. (2000). “Effects of front and dual suspension mountain bike systems on uphill cycling performance.” Medicine and Science in Sports and Exercise 31(7): 1276-1280. Makowski, K., P. Aschenbrenner, et al. (2006). “Physiological Cost of Skiing in Hypoxic or Normoxic Environments.” Research Yearbook 12(2): 222-226. Malhotra, M. S., U. Changra, et al. (1976). “Dietary intake and energy requirements of Indian submariners in tropical waters.” Ergonomics 19: 141-148. Mayhew, J. (1977). “Oxygen cost and energy expenditure in trained runners.” British Journal of Sports Medicine 11(3): 116-121. Mayhew, J. and J. Andres (1975). “Assessment of running performance in college males from aerobic capacity percentage utilization coefficients.” Journal of Sports Medicine and Physical Fitness 15: 342- 346. Mazetti, S., M. Douglass, et al. (2007). “Effect of explosive versus slow contraction and exercise intensity on energy expenditure.” Medicine and Science in Sports Exercise 39(8): 1291-1301. McArdle, W. D., F. I. Katch, et al. (1981). Exercise Physiology: Energy, Nutrition, and Human Performance. Philadelphia, Lea & Febiger. Melanson, E. L., P. S. Freedson, et al. (1996). “Exercise responses to running and in-line skating at self- selected paces.” Medicine and Science in Sports and Exercise 28: 247-250. Mengelkoch, L. J. and K. Clark (2006). “Comparison of work rates, energy expenditure, and perceived exertion during a 1-h vacuuming task with a backpack vacuum cleaner and an upright vacuum cleaner, Appl Ergon, 2006;37:159-165.” Applied Ergonomics 37: 159-165. Mercer, J., J. Dolgan, et al. (2008). “The physiological importance of preferred stride frequency during running at different speeds.” Journal of Exercise Physiology 11(3): 26-32. Mermier, C. M., R. A. Robergs, et al. (1997). “Energy expenditure and physiological response during indoor rock climbing.” British Journal of Sports Medicine 31(224-228). Midorikawa, T., S. Tanaka, et al. (2007). “Evaluation of low-intensity physical activity by triaxial accelerometry.” Obesity 15(12): 3031-3038. Mier, C. M. and Y. Feito (2006). “Metabolic cost of stride rate, resistance, and combined use of arms and legs on the elliptical trainer.” Research Quarterly for Exercise and Sport 77(4): 507-513. Millet, G., S. Perrey, et al. (2002). “Relationships between aerobic energy cost, performance and kinematic parameters in roller ski skating.” International Journal of Sports Medicine 23: 191-195. Millet, G. P., S. Perrey, et al. (1998). “External loading does not change energy cost and mechanics of rollerski skating.” European Journal of Applied Physiology and Occupational Medicine 78: 276-282. Millet, G. Y., D. Boissiere, et al. (2003). “Energy cost of different skating techniques in cross country skiing.” Journal of Sport Science 21(1): 3-12. Minetti, A. E., L. P. Ardigo, et al. (1994). “The transition between walking and running in humans: metabolic and mechanical aspects at different gradients.” Acta Physiologica Scandinavica 150: 315- 323. Montgomery, E. and A. Johnson (1977). “Machiguenga energy expenditure.” Ecology of Food and Nutrition 6: 97-105. Morgan, B., S. Woodruff, et al. (2003). “Aerobic energy expenditure during recreational weight training in females and males.” Journal of Sport Science and Medicine 2: 117-122. Morita, I., A. Yamaguchi, et al. (2006). “Cardio-respiratory responses to snow shoveling and shovel performance in young males.” Seppyo 68(1): 3-13. Moy, K., R. Scragg, et al. (2006). “Metabolic equivalent (MET) intensities of culturally-specific physical activities performed by New Zealanders.” New Zealand Medical Journal 119(1235): 1-16. Nag, P. K. and S. K. Chatterjee (1981). “Physiological reactions of female workers in Indian agricultural work.” Human Factors 23: 607-614. Nikolai, A., B. Novotny, et al. (2009). “Cardiovascular and metabolic responses to water aerobics exercise in middle-aged and older adults.” Journal of Physical Activity and Health 6: 333-338. Noble, R. and E. Howley (1979). “The energy requirement of selected tap dance routines.” Research Quarterly 50(3): 438-442. Norgan, N. G., A. Ferro-Luzzi, et al. (1974). “The energy and nutrient intake and the energy expenditure of 204 New Guinean adults.” Philosophical Transactions of the Royal Society of London. Series B, Biological Science 268: 309-348. Norman, J. F., J. A. Kautz, et al. (2003). “Physical demands of vacuuming in women using different models of vacuum cleaners.” Medicine and Science in Sports and Exercise 35(2): 364. O’Connell, E. R., P. C. Thomas, et al. (1986). “Energy costs of simulated stair climbing as a job related task in fire fighting.” Jounal of Occupational Medicine Official Publication of the Industrial Medical Association 28: 282-284. O’Mailia, S., M. Scharff-Olson, et al. (2002). “Activity monitors and dance-based exercise: Estimating energy expenditure.” Journal of Dance Medicine and Science 6(2): 50-53. Oberoi, K., M. K. Dhillon, et al. (1983). “A study of energy expenditure during manual and machine washing of clothes in India.” Ergonomics 26(375-378). Ohwada, H., T. Nakayama, et al. (2005). “Energy expenditure in males with mental retardation.” Journal of Nutritional Science Vitaminology 51: 68-74. Olson, M., H. Williford, et al. (1991). “The cardiovascular and metabolic effects of bench stepping exercise in females.” Medicine and Science in Sports and Exercise 23(11): 1311-1317. Passmore, R. and J. V. G. A. Durnin (1955). “Human energy expenditure.” Physiological Reviews 35: 801-840. Pendergast, D., D. Bushnell, et al. (1989). “Energetics of kayaking.” European Journal of Applied Physiology and Occupational Physiology 59: 342-350. P�rez-Landaluce, J., M. Rodr�guez-Alonso, et al. (1998). “Importance of wash riding in kayaking training and competition.” Medicine and Science in Sports and Exercise 30(12): 1721-1324. Pernold, G., E. W. Tornqvist, et al. (2002). “Validity of occupational energy expenditure assessed by interview.” American Industrial Hygiene Association Journal 63(1): 29-33. Peterson, A. T., J. Steffen, et al. (1999). “Metabolic responses associated with deer hunting.” Medicine and Science in Sports and Exercise 31(12): 1844. Petrofsky, J., R. Magsino, et al. (2003). “Energy expenditure of disabled vs. non-disabled skiers.” British Journal of Therapeutic Rehabilitation 10(2): 75-81. Philips, W. T. and J. R. Ziuraitis (2004). “Energy costs of a single-set resistance training in older adults.” Journal of Strength and Conditioning Research 18(3): 606-609. Phillips, P. G. (1954). “The metabolic cost of common West African agricultural activities.” Tropical Medicine and Hygiene 57: 12-20. Phillips, W. and J. Ziuraitis (2003). “Energy cost of the ACSM single-set risistance training protocol.” Journal of Strength and Conditioning Research 17(2): 350-355. Phillips, W. and J. R. Ziuraitis (2004). “Energy cost of single-set resistance training in older adults.” Journal of Strength and Conditioning Research 18(3): 606-609. Pinto, G. S., C. Abrantes, et al. (2010). “Oxygen uptake, heart rate and energy expenditure during slideboard routines at different cadence.” Journal of Sports Medicine and Physical Fitness 50(2): 126- 131. Pocari, J. (2010). Energy cost of EA Sports� Afterburner workouts. P. s. Challenge. LaCrosse, University of Wisconsin at LaCrosse. Pradhan, C. K., S. Thakur, et al. (2007). “Physiological and subjective assessment of food grain handling workers in West Godavari district, India.” Indian Health 45: 165-169. Prasad, K. V., Y. V. Ramana, et al. (2001). “Energy cost of physiological efficiency in male yoga practitioners.” Journal of Exercise Physiology Online 4(3): 38-44. Pugh, L. (1970). “Oxygen intake in track and treadmill running with observations on the effect of air resistance.” Journal of Physiology 207: 823-835. Ramana Murthy, P. S. V. and B. Belavady (1966). “Energy expenditure and requirement in agricultural labourers.” Indian Journal of Medical Research 54: 977-999. Ramzin, S. (1948). “Energy balance in soldiers of Yugoslav army.” Voj San Pregled 5: 131-144. Rao, S., M. Gokhale, et al. (2007). “Energy costs of daily activities for women in rural India.” Public Health Nutrition 11(2): 142-150. Rixon, K., P. Rehor, et al. (2006). “Analysis of the assessment of caloric expenditure in four modes of aerobic dance.” Journal of Strength and Conditionion Research 20(3): 593-596. Roi, G., M. Mevio, et al. (1989). “Functional assessment of high level ice-dancing.” Journal of Sports Medicine and Physical Fitness 29(2): 189-193. Rosenberger, M. E., W. L. Haskell, et al. (2010). Comparison of the Actigraph and new wireless sensors for predicting energy expenditure during selected physical activities. Submitted for publication. Stanford, CA. Rosiello, R., D. Maher, et al. (1987). “Cardiovascular responses to rowing.” Medicine and Science in Sports 19(3): 239-245. Rundell, K. and L. Szmedra (1998). “Energy cost of rifle carriage in biathlon skiing.” Med Sci Sport Exerc 30(4): 570-576. Ryschon, T. and J. Stray-Gundersen (1991). “The effect of body position on the energy cost of cycling.” Med Sci Sport Exerc 23(8): 949-953. Saibene, F., G. Cortili, et al. (1985). “Energy sources in alpine skiing (Giant Slalom).” European Journal of Applied Physiology and Occupational Medicine 55: 312-316. Scheiber, P., S. Krautgasser, et al. (2009). “Physiologic responses of older recreational alpine skiers to different skiing modes.” European Journal of Applied Physiology and Occupational Medicine 105: 551- 558. Schiffer, T., A. Knicker, et al. (2009). “Energy cost and pole forces during Nordic walking under different surface conditions.” Medicine and Science in Sports and Exercise 41(3): 663-668. Schiffer, T., A. Knicker, et al. (2006). “Physiological responses to nordic walking, walking and jogging.” European Journal of Applied Physiology and Occupational Medicine 98: 56-61. Scott, P. and C. Christie (2004). “An indirect method to assess the energy expenditure of manual labourers in situ.” South African Journal of Science 100: 694-698. Sentija, D. and G. Markovic (2009). “The relationship between gait transition speed and the aerobic thresholds for walking and running.” International Journal of Sports Medicine 30(11): 795-801. Sheldahl, L. M., N. A. Wilke, et al. (1992). ” Effect of age and coronary artery disease on response to snow shoveling.” Journal of the American College of Cardiology 20(5): 1111-1117. Sherrman, W., D. Morris, et al. (1998). “Evaluation of a commercial accelerometer (Tritrac-R3D) to measure energy expenditure during ambulation.” International Journal of Sports Medicine 19: 43-47. Shimoda, M. and Y. Kawakami (2005). “Critical power determination with ergometry rowing: relation to rowing performance.” International Journal of Sport and Health Science 3: 21-26. Siegel, S., B. Haddock, et al. (2009). “Active video/arcade games (exergaming) and energy expenditure in college students.” Medicine and Science in Sports and Exercise 2(3): 165-174. Sinha, B., U. S. Ray, et al. (2004). “Energy cost and cardiorespiratory changes during the practice of surya namaskar.” Indian Journal of Physiology and Pharmacology 48(2): 184-190. Sothmann, M., K. Saupe, et al. (1991). “Oxygen consumption during fire suppression: error of heart rate estimation.” Ergonomics 34(12): 1469-1474. Spilde, S., J. Porcari, et al. (2005). Physiological responses to pilates and yoga training. . American Association for Cardiovascular and Pulmonary Rehabilitation Annual Meeting, Milwaukee, WI. Suda, T., K. Nakagawa, et al. (1990). Physiological responses to snow shoveling observed in aged men. Fitness for the Aged, Disabled and Industrial Worker. M. Kaneko. Champaign, Human Kinetics. 20: 290. Sumio, Y., I. Tomoyasu, et al. (1985). “Cardiovascular stress in assisted ambulation: effect of various crutches with 60% partial weight-bearing.” Journal of the Japanese Physical Therapy Association 12(1): 13-18. Tan, B., A. Aziz, et al. (2002). “Aerobic demands of the dance simulation game.” International Journal of Sports Medicine 23(2): 125-129. Taylor, H., D. J. Jacobs, et al. (1978). “A questionnaire for the assessment of leisure time physical activities.” Journal of Chronic Disease 31: 741-755. Teh, K. C. and A. R. Aziz (2001). “Heart rate, oxygen uptake, and energy cost of ascending and descending stairs.” Medicine and Science in Sports and Exercise 34(4): 695-699. Tin-May-Than. (1988). “Energy expenditure, duration of activities, and physical work capacities of Burmese women weavers.” Food and Nutrition Bulletin 10: 48-50. Toskovic, N. N., D. Blessing, et al. (2002). “The effect of experience and gender on cardiovascular and metabolic responses with dynamic tae kwon do exercise.” Journal of Strength and Conditioning Research 16(2): 278-285. Town, G. P., N. Sol, et al. (1980). “The effect of rope skipping rate on energy expenditure of males and females.” Medicine and Science in Sports and Exercise 12(295-298). Turnbull, J., A. Kilding, et al. (2009). “Physiology of alpine skiing.” Scandinavian Journal of Medicine and Science in Sports 19: 146-155.
van Someren, K., G. Phillips, et al. (1999). “Comparison of physiological responses to open water kayaking and kayak ergometery.” International Journal of Sports Medicine 21: 200-204. Veicsteinas, A., G. Ferretti, et al. (1984). “Energy cost of and energy sources for alpine skiing in top athletes.” Journal of Applied Physiology 56: 1187-1190. Vercruyssen, F., N. Blin, et al. (2009). “Assessment of physiological demand in kitesurfing.” European Journal of Applied Physiology and Occupational Medicine 105: 103-109. Viteri, F. E., B. Turun, et al. (1971). “Determining energy costs of agricultural activities by respirometer and energy balance techniques.” American Journal of Clinical Nutrition 24: 1418-1430. Vogiatiz, I., G. De Vito, et al. (2002). “The physiological demands of sail pumping in Olympic level windsurfers.” European Journal of Applied Physiology and Occupational Medicine 86: 450-454. Vogiatzis, I., N. Spurway, et al. (1995). “Assessment of aerobic and anaerobic demands of dinghy sailing at different wind velocities.” Journal of Sports Medicine and Physical Fitness 35(2): 103-107. Wallick, M. E., J. P. Porcari, et al. (1995). “Physiological responses to in-line skating compared to treadmill running.” Medicine and Science in Sports and Exercise 27(2): 242-248. Washburn, R. and A. Copay (1999). “Assessing physical activity during wheelchair pushing: Validity of a portible accelerometer.” Adapted Physical Activity Quarterly 16: 290-299. Watts, P., B. Coleman, et al. (1999). “Metabolic and cardiovascular responses during work on a high ropes course.” Journal of Sports Medicine and Physical Fitness 39(1): 37-41. Watts, P., M. Daggett, et al. (2000). “Metabolic responses during sport rock climbing and the effects of active versus passive recovery.” International Journal of Sports Medicine 21: 185-190. Watts, P. and K. Drobish (1998). “Physiological responses to simulated rock climbing at different angles.” Medicine and Science in Sports and Exercise 30(7): 1118-1122. Welde, B., F. Evertsen, et al. (2003). “Energy cost of free technique and classical cross-country skiing at racing speeds.” Medicine and Science in Sports 35(5): 818-825. Wigaeus, E. and A. Kilbom (1980). “Physical demands during folk dancing.” European Journal of Applied Physiology and Occupational Medicine 45(2-3): 177-183. Wilke, N. A., L. M. Sheldahl, et al. (1995). “Energy expenditure during household tasks in women with coronary artery disease.” American Journal of Cardiology 75: 670-674. Wilkins, B., P. Watts, et al. (1996). “Metabolic responses during rock climbing in expert rock climbers.” Medicine and Science in Sports and Exercise 28: S159. Wilmore, J., R. B. Parr, et al. (1978). “Energy cost of circuit weight training.” Medicine and Science in Sports and Exercise 10: 75-80. Withers, R. T., A. G. Brooks, et al. (2006). “Self-selected exercise intensity during household/garden activities and walking in 55 to 65-year old females.” European Journal of Applied Physiology and Occupational Medicine 97: 494-504. Woodby-Brown, S., K. Berg, et al. (1993). “Oxygen cost of aerobic dance bench stepping at three heights.” Journal of Strength and Conditioning Research 7(3): 163-167. Wulff, S., J. Cochrane, et al. (1998). “Energy cost and energy expenditure of running in trained females.” International Association for Health Physical Education Recreation and Dance 31(2). Wyndham, C. S., NB, C. van Graan, et al. (1971). “The energy cost of walking and running at different speeds.” South African Medical Journal 45: 50-53. Wyon, M., G. Abt, et al. (2004). “Oxygen uptake during moderate dance class, rehearsal, and performance.” Journal of Strength and Conditioning Research 18(3): 646-649. Yngve, A., A. Nilsson, et al. (2003). “Effect of monitor placement and activity setting on the MTI accelerometer output.” Medicine and Science in Sports and Exercise 35(2): 320-326. Yue, A. S., J. Woo, et al. (2007). “Effect of age and gender on energy expenditure in common activities of daily living in a Chinese population.” Disability Rehabilitation 29(2): 91-96. Zhuo, D., R. J. Shephard, et al. (1984). “Cardiorespiratory and metabolic responses during Tai Chi Chuan Exercise.” Canadian Journal of Applied Sport Science 9: 7-10. As I scrolled through your references for the first time I thought to myself…..mix drop lol. My mouse wheel does this infinite scroll thing. It took 3 seconds to scroll through the references. Somebody pissed off a scientist. Lol I loved the references. Burn!